Creating a document with formatting and layout optimized for multilingual publishing can help you save time and money. The steps recommended below aim to make content parsing more efficient when you upload your InDesign document to Smartling, and shorten post-translation efforts to reformat/reconstruct the document. 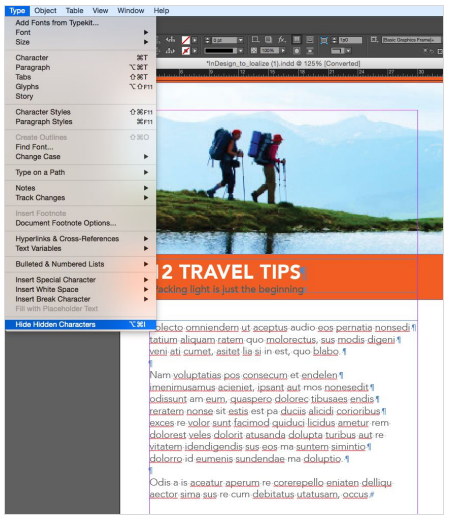 InDesign’s native file format (.indd) is a proprietary file type of Adobe InDesign software and cannot be opened by any other application, including Smartling. Instead, you’ll need to export your document using the InDesign Markup Language (IDML) file format before you can upload it to Smartling. Go to File​ > Export​ and select InDesign Markup​ (IDML) ​in the Export dialog window. Smartling does not support PDF format. a line break (soft return) to wrap a line. To turn on "Show Hidden Characters​", go to Type​ > Show Hidden Characters. 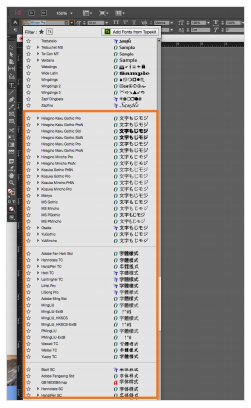 More on hidden/invisible characters in InDesign can be found here. In this example, a hard return has been added to the end of each line. Each hard return will create a new string in Smartling, therefore, a Translator may be left to work on incomplete or unordered parts of sentences. A soft return will not alter your layout and will be parsed by Smartling as actual paragraphs. If you have multiple text frames that make up one sentence in your document, then consider “threading” them. They can then be parsed as one string in Smartling as opposed to showing numerous, often unnecessary, single strings, that will be difficult to translate. 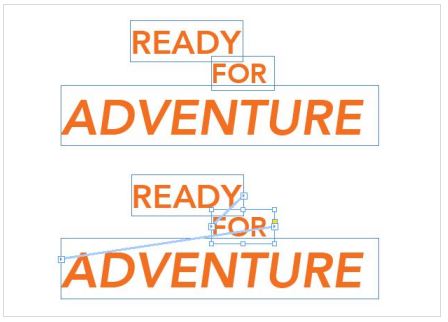 More on threading text frames in InDesign can be found here. Text belonging to a linked graphic is not included in the IDML Export. As a result, remember to localize the graphics as well as any text included in graphics, separately. In the example above, the text is included in the graphic and thus cannot be captured by Smartling. A better alternative is the extensive use of layers. 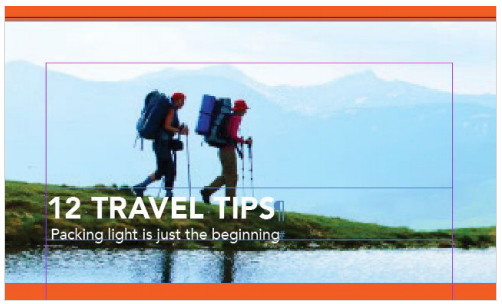 InDesign makes it easy to add layers, so instead of graphics with text, create a text box layered over your graphic. This can then be parsed and translated in Smartling. layout but is also preserved by Smartling when your translated file is downloaded. Manual format overrides are often lost by the application, which can substantially increase post-translation DTP time. Furthermore, styles can be reused by any new file, saving you time and money each time a new document is created, especially true for projects with a large number of documents with a common layout. position when the translated text "moves" due to text expansion. 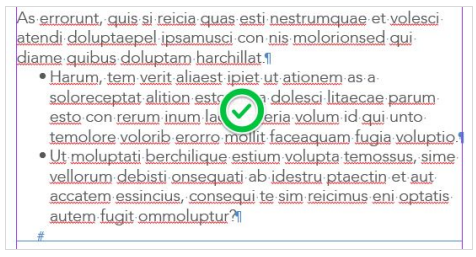 Using tabs and spaces to “align” lines of texts is another common mistake. It creates segmentation issues in Smartling, such as empty translation fields that are hard to manage for the translator and DTP team. InDesign has a great tables package and yet very often we create tables from individual text frames delineated by manually drawn boxes and rules. When using the tables package, all cells/containers and rules adjust themselves automatically to accommodate text expansion from translation, whereas frames will need to be individually and manually resized by your DTP. Did you know that some languages, such as Russian, German, and Italian can expand the line count by as much as 35%? The biggest challenge in designing InDesign documents for translations is creating a page layout that will accommodate those post-translation text expansions with enough white spaces around text elements. 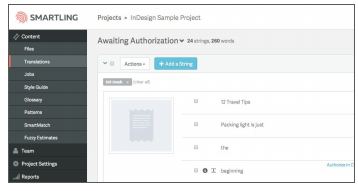 To help with content expansion, you can download a pseudo-file from the Smartling dashboard and have your DTP team use it to create templates or work on a layout during the translation process. When it comes to Eastern languages such as Arabic or Hebrew where text displays right-to-left, you will need your DTP team to perform right-alignment and right-to-left layout modifications on your translated document. This unfortunately, often means a “document reconstruction". Although every OS has a different set of fonts installed, you or your DTP team should use font sets with various weights (light, regular, bold, extra bold) and serif/sans-serif-compatible CJK font sets. To turn Track Changes off, go to Type > Track Changes > Disable tracking in all stories. If Track Changes is currently active, make sure to select the Accept All Changes option to finalize the InDesign file before turning the feature off. 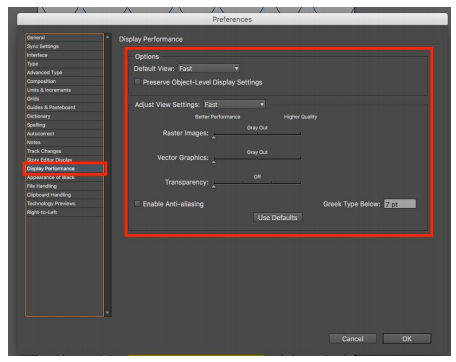 Go to Preferences > Display Performance and set the Default View, as well as the Adjust View settings to Fast. 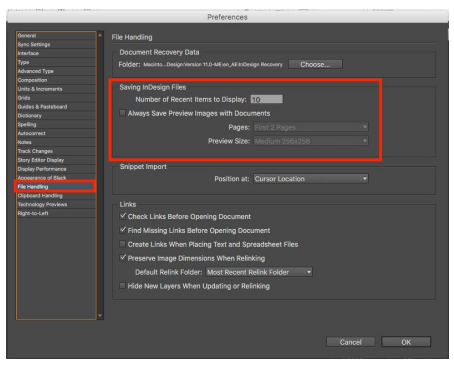 Then go to File Handling and uncheck Always Save Preview Images with Documents. Once you’ve changed the Preferences Settings, save the INDD file and export it as an IDML. If you re-open the IDML file, you'll notice that images are displayed as grey boxes, reducing the IDML file size by as much as 95%. To see the thumbnail images again, go back to preferences and revert both your Display Performance and File Handling settings.